We love it when our favourite brands ask us for stylish sidewalk signage. 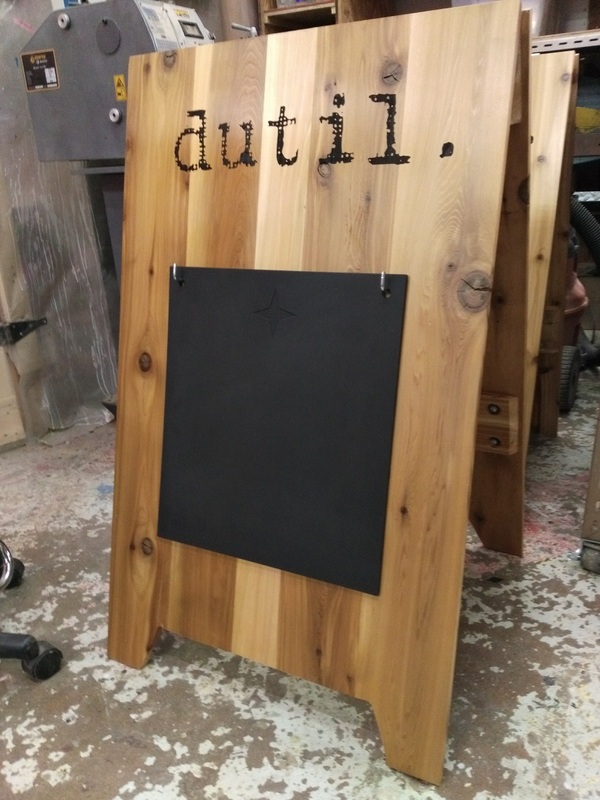 We use solid wood, like white oak or red cedar, etched and painted details, and special touches like a hanging chalkboard for new messaging. 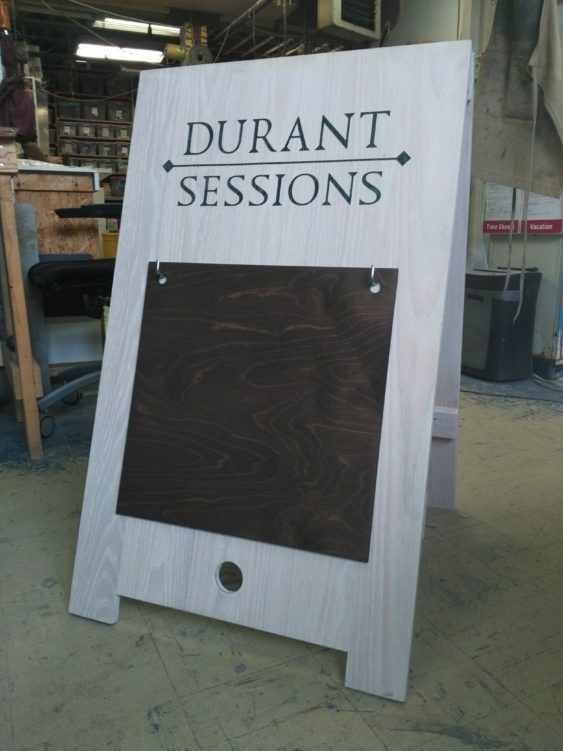 Our sandwich board signs are beautiful and built to last: with theft-proofing lock points, and solid wood construction and reinforcement.